Petty Officer 1st Class Bill Colclough | USCG Nov 1, 2016. 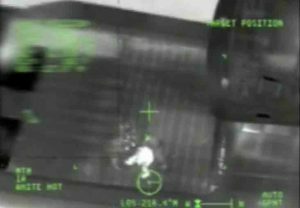 ANCHORAGE, Alaska — A Coast Guard Air Station Kodiak aircrew deployed to Forward Operating Location Cold Bay medevaced a 31-year-old male from a fishing vessel 57 miles west-northwest of Cold Bay Sunday morning. Watchstanders at the 17th Coast Guard District Command Center received information relayed from the Coast Guard Base Kodiak Police Department that a crew member aboard the fishing vessel Seabrooke experienced chest pains and numbness in his left arm. The duty flight surgeon recommended a medevac to a higher level of medical care within two to four hours and have the patient administered aspirin and nitroglycerin. The Jayhawk crew hoisted the crewman from the Seabrooke and transported him to the Cold Bay Medical Clinic. Due to weather, the crewman remained at the clinic until an HC-130 aircrew from Air Station Kodiak could take him to Kodiak for further medical care. Life Med transported the patient to Anchorage.